Amy & Tyler coming back from checking out the helicopters on Uncle Rob's base (NASNI Coronado.) 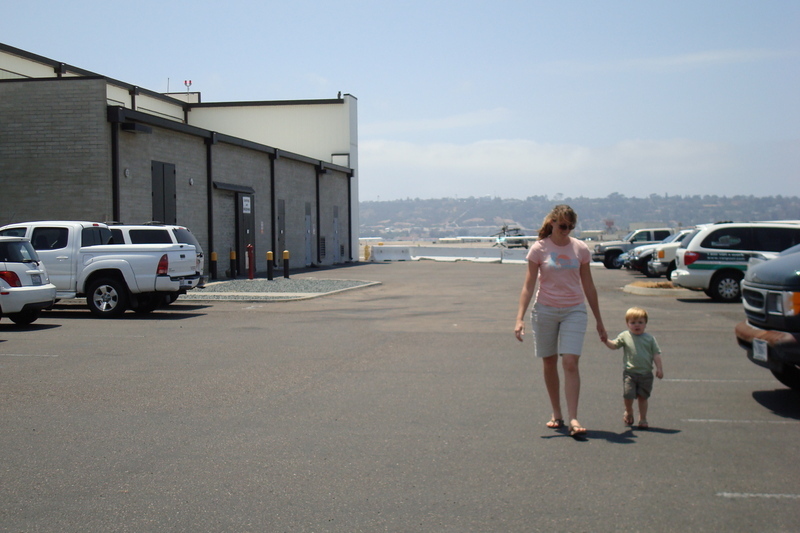 I'm not going to get arrested for posting a photo of the base, am I? 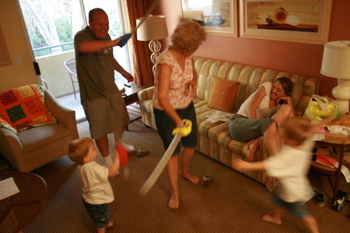 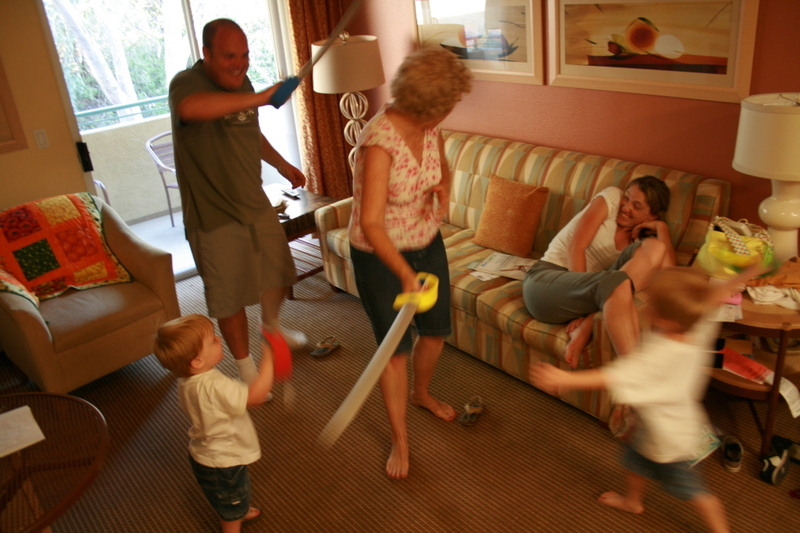 a family (foam) sword fight in our condo...love Amy's reaction on the couch! 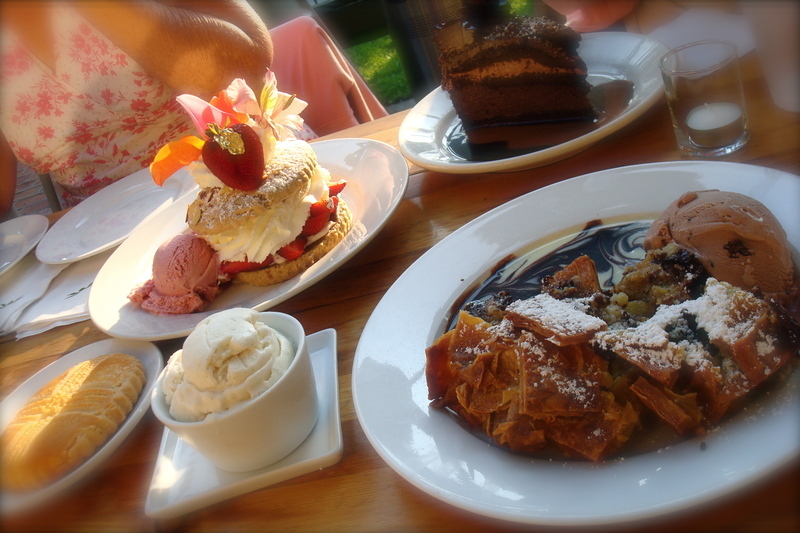 perhaps one of my favorite eateries in the world: Extraordinary Desserts, where it is not food, but art. 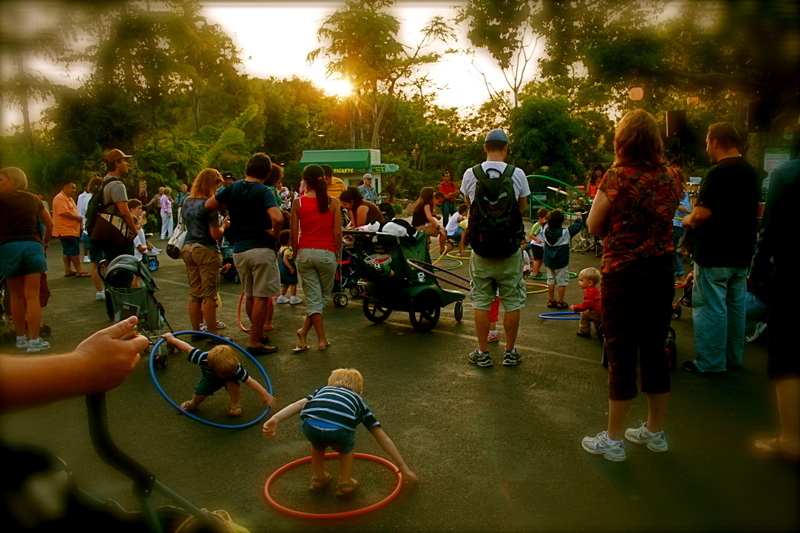 My favorite: our last night there, at the zoo, a south american band providing good tunes, musical instruments & hulahoops, the sun setting over the trees, the whole world glowing.